The UK housing market continued to be buoyant in the first quarter of 2016. Activity was fuelled by the rush to complete buy-to-let property transactions before the stamp duty change on second properties came into effect in April. Consequently, house purchase activity experienced a sharp fall in April, which was especially evident for buy-to-let. The uncertainty post the Brexit vote is likely to affect many factors impacting the property and lettings market. 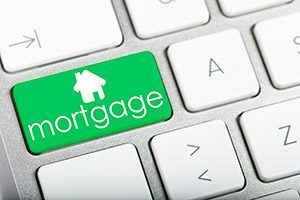 Prior to the vote David Cameron warned mortgages could rise by £1k per year; many now expect interest rates to be cut, possibly to zero, so costs could actually fall. The CML concur that one of the first elements of the market likely to be affected is property transactions, which will in turn dampen house price growth; while this uncertainty will linger for some time, house prices remain underpinned by sound fundamentals. They believe there will be particular uncertainty in the prime London market, where a higher proportion of buyers are foreigners, who may delay their purchase to assess the impact of the referendum result. However, the CML believe the characteristics of the UK housing market are unlikely to change dramatically in the near term, as there will continue to be a mismatch of supply and demand, stretched affordability and a relatively low number of home movers.